I’ve been pondering for a while whether a win-win collaboration could transform the Pittsfield pit stop into a well-functioning offshoot of the distinguished Williams College Museum of Art (WCMA) in Williamstown, MA—about a half-hour’s drive north. With the Danforth example as model, this notion doesn’t seem too farfetched. 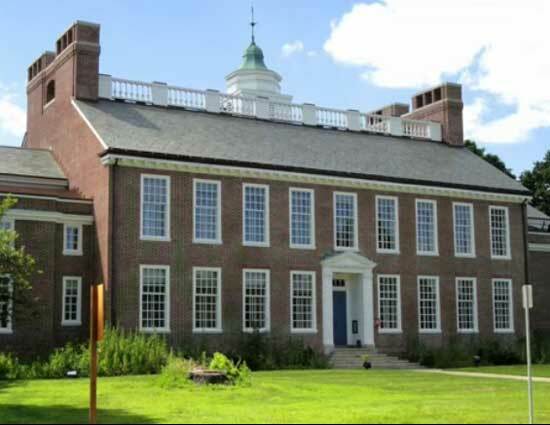 That said, there’s a difference in scale: Danforth owns some 3,500 American artworks, from the 19th century to the present; the Berkshire Museum has an eclectic collection of some 35,000-40,000 objects. 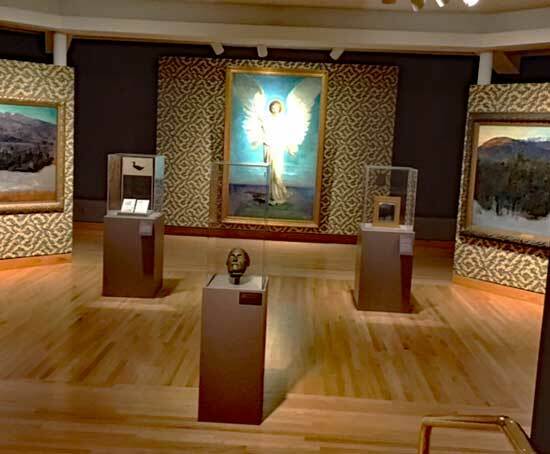 A merger of the Berkshire Museum’s and WCMA’s collections under the oversight of Williams College, with its superior administrative know-how, could enhance exhibitions and education opportunities at both venues, while providing extra space for the college’s art-history students (many of whom go on to museum careers) to exercise their curatorial chops. Importantly, this could prevent the deplorable dismantling of the Berkshire Museum’s collection, which is now being planned—the disposal of 40 of its most important works through Sotheby’s, intended to bolster its finances and bankroll its reinvention, with the unintended effect of trashing its professional reputation. 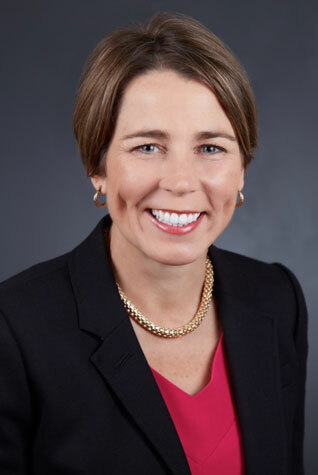 Finding a non-sale solution has gained more urgency with the recent announcement (reported by Eileen Kinsella of artnet and JD Allen of public radio station WAMC) that Massachusetts Attorney General Maura Healey intends to scrutinize the Berkshire Museum’s controversial disposal plans. It’s an eerie echo of the barely averted dismemberment of the Rose Art Museum at Brandeis University, Waltham, MA, which similarly caught the eye of then Attorney General Martha Coakley. Once again, the AG will undoubtedly try to determine whether the sales would violate donor intent. That means examining the documents that formalized gifts or bequests of the works now targeted for disposal—a process that could take some time. A spokesperson for Healey would tell me only that her office is looking into whether the Berkshire Museum’s plans comply with charities law. The museum clearly tried to anticipate and deflect this line of inquiry. In its July 24 press release that identified the 40 works it regarded as “not essential,” it stated: “All of the deaccessioned works are unrestricted and unencumbered.” Time (and Healey) will tell. In the case of the Rose Art Museum, the endangered art collection was ultimately rescued—not by the intervention of the AG, but by the pressure brought to bear by three museum board members who had filed a lawsuit seeking to prevent the museum from shutting down and/or selling its art. That delay gave the university a chance to shore up its finances (which had been hard hit by the Great Recession), after which a new university president struck an agreement with the litigious board members and reversed his predecessor’s deaccession decision. Perhaps something similar to what happened in Waltham, MA, needs to happen in Pittsfield—a change in leadership and a rededication to the principles of responsible stewardship of the collection. 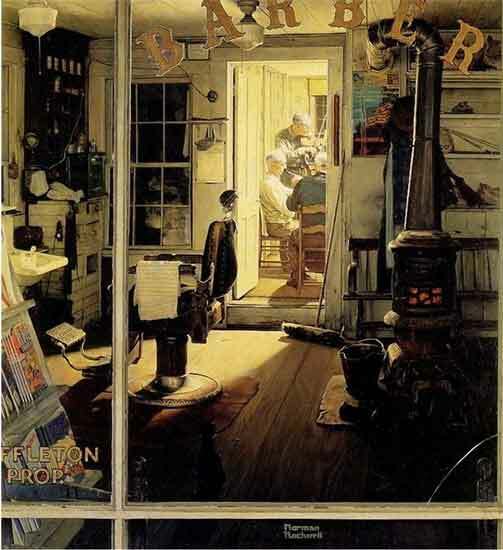 Although I have no knowledge that any legal challenges are in the works, members of Norman Rockwell‘s family, as well as Laurie Norton Moffatt, director of the Norman Rockwell Museum, Stockbridge, have been vocal in opposition to the planned sale of two works that were donated to the Berkshire Museum by the artist himself. Whether they will seek standing to try to block those sales in court remains to be seen. Blocking the sales won’t solve the underlying problems that led the Berkshire Museum to concoct its misguided “solution.” A Berkshire Museum-Williams College alliance might. But as of now, it’s still a figment of my imagination: I have no idea whether both parties would be receptive to joining forces. The idea could gain traction, though, now that Danforth and FSU have arrived at an agreement (subject to as yet uncertain town approval) that mirrors the Berkshire deal I have envisioned. In the merger agreement, the Permanent Collection is gifted to the FSU Foundation, protecting it from dissolution or sale, with numerous assurances that, should the relationship between the organizations fail for any of a myriad of reasons in the future, the Permanent Collection would be transferred in full, or to the greatest extent feasible, to a museum with a similar mission. Danforth recently acquired the Maynard Building on the town green in Framingham, to which it is hoping to move. Williams College’s graduate program in art history, administered in collaboration with the Clark Art Institute, is renowned for preparing students for “careers in the academy, museums, and associated fields,” in the words of its website. Here are a few recent alumni who made good. 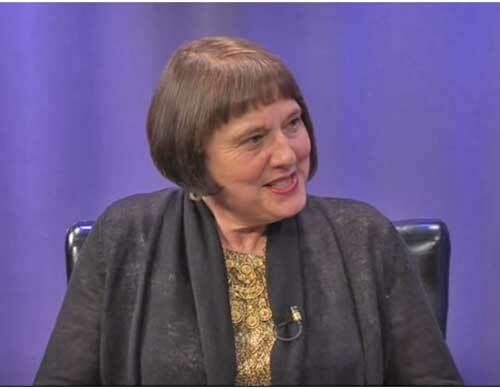 What’s missing from WCMA at present is a permanent director: Effective yesterday, Lisa Dorin became WCMA’s interim director and Sonnet Coggins became interim deputy director, following the departure of Christina Olsen to assume the directorship of the University of Michigan Museum of Art. Under these unsettled circumstances, perhaps this is not an ideal time to undertake a bold new initiative. But there’s no time to lose in saving the Berkshire Museum 40.